Inspector Betty Church – one of the few female officers on the force – has arrived from London to fill a vacancy at Sackwater police station. But Betty isn't new here. This is the place she grew up. The place she thought she'd left behind for good. Time ticks slowly in Sackwater, and crime is of a decidedly lighter shade. Having solved the case of the missing buttons, Betty's called to the train station to investigate a missing bench. But though there's no bench, there is a body. A smartly dressed man, murdered in broad daylight, with two distinctive puncture wounds in his throat. 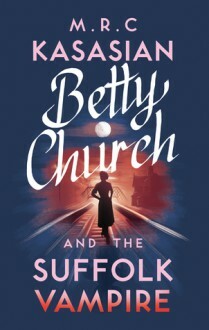 While the locals gossip about the Suffolk Vampire, Betty Church readies herself to hunt a dangerous killer.